SEIFSA is proud to host the top five South African political parties in the run-down to South Africa’s election on 8 May 2019. The parties, one of which will be elected into power in May, will brief the metals and engineering sector on their plans for the economy. 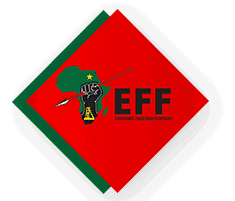 The main five political parties/organisations will talk directly to business leaders and organised business in the metals and engineering sector about their concrete plans to stimulate the economy over the next five years. indicate how, if they were to come to power, they would ensure that the Government has a healthy, constructive and productive relationship with business, with the latter viewed as a partner and not an enemy. 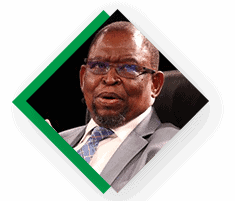 Mr Enoch Godongwana was Deputy Minister of Public Enterprises of the Government of South Africa from 2009 to 2010 and as Deputy Minister of Economic Development of the Republic of South Africa from 1 November 2010 to 2012. He was member of African National Congress (ANC) National Executive Committee (NEC) from December 2007 and member of Parliament from 2008. 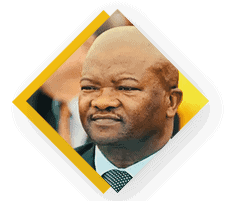 Major General (Retired) Bantu Holomisa co-founded the United Democratic Movement in 1997 with Mr Roelf Meyer. Mr Holomisa serves as the UDM’s President. He has served as the Deputy Minister of Environment and Tourism of South Africa in the Government of National Unity (elected in 1994). Former Executive Mayor of Nelson Mandela Bay Metropolitan Municipality, he has been a member of the DA since the party’s inception in the early nineties. He has been the DA leader in the Eastern Cape since 2002. 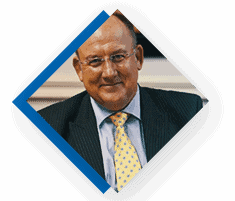 Trollip has served as member of the National Assembly and as a member of the Provincial Legislature of the Eastern Cape Province. He served as Parliamentary Leader of the opposition between 2009 and 2011. Mr Hlengwa has been an MP since 2014. 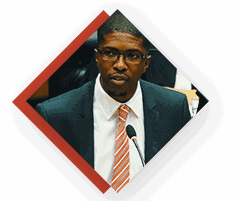 He also serves as the National Chairperson of the IFP Youth Brigade and is the IFP National Spokesperson. He serves on the parliamentary committees on Public Accounts, Internationational Relations and Cooperation, and the Standing Committee on Finance.